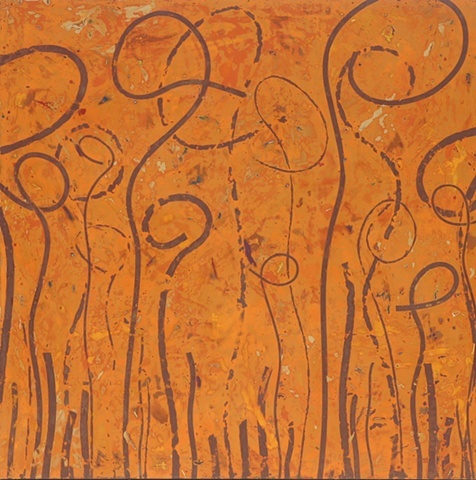 Delos Van Earl Studios - "Fields of Harvest"
Organic brown lines rising up like growing vines and reeds against a deep yellow ochre/terra cotta background. This is a very visually pleasing and meditative painting, as you can almost feel the plants playfully winding their way around and upward as they grow. "Fields of Harvest" is available.